The 90th edition of the Japanese National Championships (30 June to 2 July) at the Universiade Memorial stadium was held in Kobe, Japan, doubling as a selection meet for this year’s Asian Games in Doha, Qatar, in December. Fourteen athletes successfully defended their titles from last year - Yuzo Kanemaru at 400m, Fumikazu Kobayashi at 1500m, Naoyuki Daigo at HJ, Satoru Hatase at SP, Koji Murofushi at HT, Yukifumi Murakami at JT, Sakie Nobuoka at W200m, Miho Sugimori at W800m, Kayoko Fukushi at W5000m&10000m, Kumiko Ikeda at WLJ, Fumiyo Yoshida at WTJ, Yoko Toyonaga at WSP and Yuka Murofushi at WDT. The absolute highlight of the championships was the men’s national High Jump record. In the stadium where Igor Paklin jumped 2.41m to set the World record at the 1985 World University Games, Naoyuki Daigo set the new national record of 2.33m on Sunday (2 July). So he finally broke the 13-years-old record, 2.32m, set by Takahiro Kimino at the Super Meet in 1993. After winning the competition with a third attempt clearance of 2.24m, Daigo also went over 2.27m and 2.30m on his third attempt. Then he raised the bar to the national record height of 2.33m. Daigo, who set a national indoor record of 2.28m last February in Yokohama, cleared on his third attempt again. “I am surprised by my record.” His goal at the nationals was 2.30m. 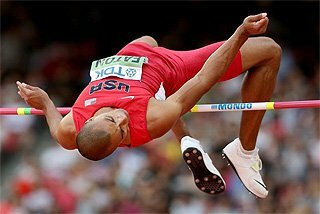 “Learning from the two missed jump, I was able to make an adjustment on my third attempt. I would like to pull out a big one in Osaka next year. If I can jump 2.35m, I can start thinking about the gold,” said Daigo. (Note that in the last three Global Championships, the winning jumps were 2.32m in 2005, 2.36 in 2004 and 2.35 in 2003). Three athletes successfully doubled in Kobe. Kayoko Fukushi completed 5000m (15:31.01) /10,000m (32:06.92) victories for the third successive year, winning both events by applying multiple surges during the race. 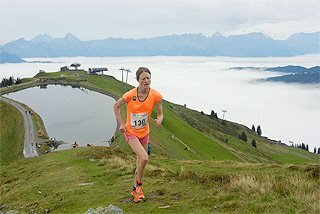 At 10,000m her first surge came at 8100m, when she increased the pace from 78 seconds lap to 70 seconds lap. Of 10 women in the lead pack, only Hiromi Ominami was able to stay with Fukushi. Fukushi surged again at 8900m and left Ominami behind. She won the 10,000m for the fifth straight year. Two days later (2 July) at 5000m, Fukushi surged at 2500m, covering the lap in 70 seconds. 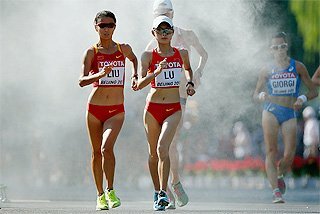 Although three runners – Kayo Sugihara, Saori Nejyo and Mari Ozaki - caught up with Fukushi by 3800m, she surged again at 3900m to run away from all to complete the double. 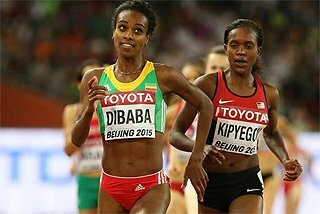 It was her third straight victory at 5000m. 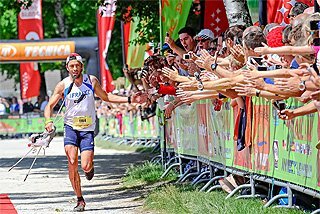 The 30Km World record holder Takayuki Matsumiya also completed 5000m (13:41.19) /10,000m (28:54.64) wins. In the 5000m on the first day (30 June), Matsumiya surged at 3000m. By covering the next lap in 60 seconds, Matsumiya ran away from the competitions to win the 5000m. On the next day, at the 10,000m, Matsumiya took the initiative again. 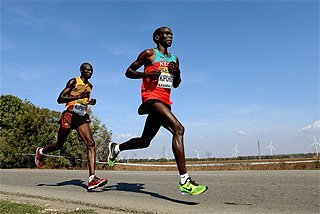 He surged at 7800m, 8700m and finally at 9300m to win the 10000m also. The third double was taken by Sakie Nobuoka who won the women’s 100m and 200m, but she was slowed by a head wind. 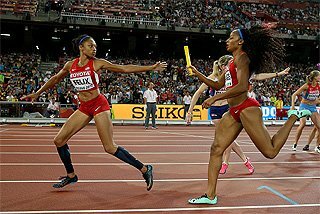 She won the 100m in 11.82 into 1m/s wind, and the 200m in 23.67 into 1.8m/s wind. Koji Murofushi, 2004 Olympic champion, won the Hammer Throw for a record 12th straight year with 80.17m. 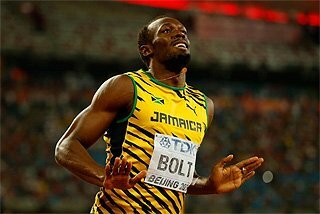 In his two previous competitions this season, in Ostrava and Prague, he recorded 79.82m and 79.57m respectively. In Kobe, where 20 throwers competed, after throwing 75.77m, 75.84m, 76.38m and 78.85m, in his fifth throw he recorded his first 80m throw of the season, 80.17m. “The competition went over 2 hours, which I am not used to. 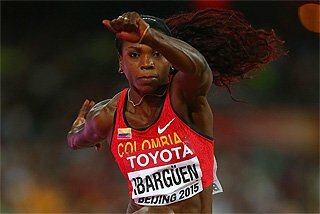 I am happy to throw 80m in front of my fans,” said Murofushi. He won by nearly 10m, as Hiroaki Doi threw 70.24m. 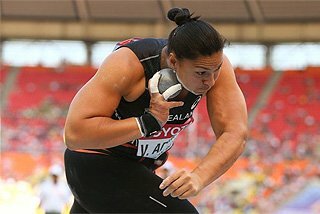 Koji’s kid-sister Yuka won the women’s Discus Throw for the fifth time, but failed to record the mark in the women’s Hammer Throw. All her attempts hit the net. In the men’s 200m, Shingo Suetsugu, 2003 World bronze medallist and the national record holder, won his specialty with 20.37. Finishing second 0.32 seconds behind Suetsugu with 20.69 was the two-time defending champion Shinji Takahira. “In 2003, when I was a college freshman, I was 0.9 seconds behind Suetsugu. I am much closer now,” said Takahira. Dai Tamesue, two-time World bronze medallist at 400mH, entered the flat 400m, but was not able to make the final. In the second semi-final on Saturday (1 July), Tamesue stopped his race at 250m. In the final in his absence the defending champion and one of the most promising junior runners Yuzo Kanemaru won in 45.74. 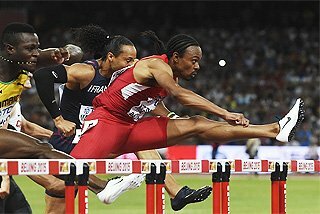 Furthermore in Tamesue’s absence at his specialty, Kenji Narisako won the 400m Hurdles, but with a slow time of 48.95. 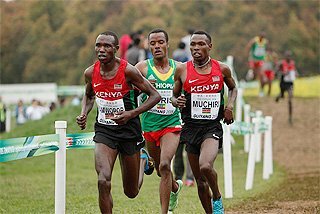 The defending champions/national record holders were upset in women’s 1500m and men’s 3000m Steeplechase. At 1500m, high school sensation Yuriko Kobayashi broke away from the lead pack of three runners at 800m only to be caught by Mika Yoshikawa at 1400m. Yoshikawa took over the lead with 50m to go, but Kobayashi came back strongly in the last metres to finish an extremely close second. Yoshikawa and Kobayashi ended up with exactly the same time to the 1/100th. The 3000m Steeplechase turned into two-man race between Jun Shinotou and Yoshitaka Iwamizu by 2000m. Shinotou surged just before the last water jump and the national record holder Iwamizu was unable to stay with him, so his win streak of five wins came to an end. In the last six years Maho Hanaoka has won four national titles at women’s Long Jump, while Ikeda won twice including last year. This year in the Osaka GP, Ikeda jumped 6.86m to take away Hanaoka’s national record. In Kobe Ikeda jumped 6.75m to Hanaoka’s 6.60m to defend her crown. “I would like to challenge 7m,” said Ikeda.